Once upon a time, a young girl and her mother spent their lives running from a dogged case of bad luck. 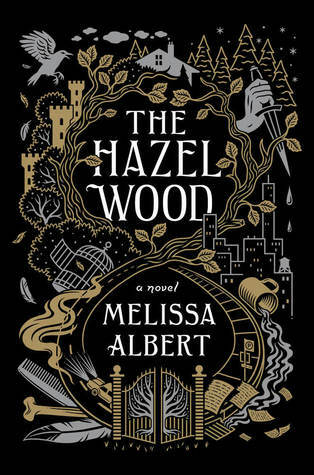 I was drawn to The Hazelwood by its incredible cover proofs, and was so beyond plesantly surprised by this dark, relentless twist on the power of fairy tales. Alice Proserpine and her mother Ella have lived their lives on the run from a darkness that follows them wherever they go. Ella doesn’t really discuss why the bad luck follows them, or much about her life before Alice at all, especially when it comes to her celebrity mother, Althea Proserpine. As a child, Alice became obsessed with her absent grandmother, who had attained an intense cult following for her collection of dark fairytales, Tales from the Hinterland, a now incredibly rare and sought-after book. Ella makes it clear that the women is not who Alice thinks, implying something darker and more sinister about her mother’s role. When Ella receives a letter stating that Althea has died, she thinks they are finally free from their streak of bad luck. But when Ella goes missing and Alice starts seeing dark figures lurking around corners, she realizes they were never free and begins to question the true source of the bad luck. This novel is the dark fairy tale of my dreams! If you’re looking for the ruthlessly cruel and apathetic version of once upon a time and happily ever after, this book is for you! It is creepy and mysterious and brutal right from the start and manages to maintain that mystery throughout. The world building and its slow-burn reveal play a huge part in this. I found myself turning in to one of Althea’s super-fans, dying to found out more about her enigmatic stories and their inspiration. I wanted a bit more developement at the end of the book, teh characters and setting are so intriguing and I was left with a lot of questions! 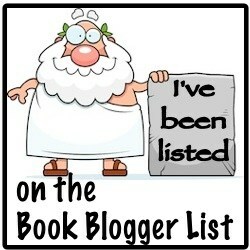 Though not necessarily in a bad way, just a deep desire to know more! At a moment in Young Adult publishing where recycled plots abound, The Hazelwood stands out as something truly unique. Even the plot points that might be guessed early in the novel are still full of surprises and dark twists! Alice is not the most likeable protagonist at the story’s beginning, with her icy demeanor and ever-simmering rage that is sometimes difficult to understand, but it is her growing understanding of her rage and her attempts to develop relationships with others (however unwillingly) that make her compelling. While Alice forms a close friendship and partnership with Hinterland super-fan Ellery Finch, it is the relationships between women in the novel that truly drive its heart. Mother and daughter of course, but friends and strangers as well. These dark and dangerous tales promise no happy endings, only murderous queens, doomed children, and an unforgiving edge. Paired alongside Alice’s own self-exploration and relayed through lyrical, often poetic language and descriptions, this novel compels you to follow Alice on her journey. ‹ PreviousTop Ten Tuesday: Books On My Winter TBR! this book sounds so good – so dark and fairytale-like!! isn’t it gorgeous?! I’m going to buy a hard copy when it’s out because I love that cover so much!